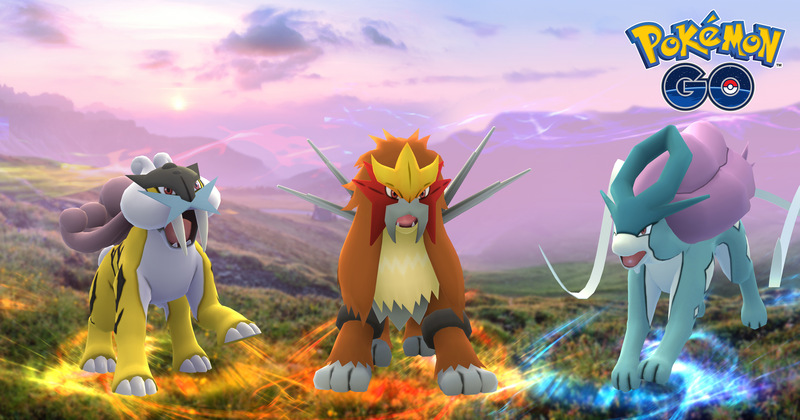 The latest Pokemon Go research event is live – and it’s giving players the chance to catch Raikou, the legendary dog Pokemon introduced in Gold and Silver. We’re officially in August, and that means Pokemon Go’s next research event is live and will continue to be so for the next few weeks. This time around the event allows players a guaranteed opportunity to encounter and attempt to catch Raikou. Raikou is one of the legendary dogs first introduced in Pokemon Gold, Silver and Crystal as a follow-up to Articuno, Zapdos and Moltres, and like the legendary birds each of the three mythical dogs fits a core Pokemon type – Suicune is Water-type, Entei is fire-type, and Raikou, who you have a chance to catch in this Raikou research event, is electric. Raikou’s type is actually one of the things that makes this event particularly special and worth following up on: when it comes to the electric-type, Raikou is one of the best Pokemon in Pokemon Go, and electric can prove a pretty useful type thanks to its type strengths and weaknesses – electric Pokemon will wreck Flying and Water Pokemon in particular, and there’s some good gym defenders that fit those types. A good Electric Pokemon is a vital team staple, and Raikou outpaces Zapdos and Eevee evolution Jolteon. What we’re saying, basically, is that you definitely want to catch one of these guys for your team, if not just for Pokedex-filling. The Raikou field event will see electric Pokemon appearances boosted across the board, but most important is Raikou itself. Raikou will be a field research breakthrough reward – so you’ll need to deliver the professor a breakthrough in order to have a chance of catching a Raikou. Many of you will know the ropes with this already from previous research events, but for newcomers, here’s how this works: as you complete research tasks, you’ll earn stamps. You can only earn one stamp per day, but once you hit a full week’s worth of stamps you’ll get a reward. In this instance that reward will be the chance to start an encounter with Raikou where you get a chance to catch this mythical, legendary Pokemon as if it were any other creature out in the wild. If you need to access your field research menu, you can open it up by hitting the button in the bottom right of the game which looks like a set of binoculars. You’ll have to complete randomly generated tasks, and these tasks are gathered in the first place by visiting a Pokestop. Simple, right? The timing of the event means that you’ll be able to encounter Raikou four times in August (or even five times if you’ve already got an almost-complete set of research stamps), which gives you a good opportunity to catch a good Raikou with a solid CP rating and stats. The minimum CP for a Raikou encountered in this event in 1373, while the maximum is 1435. If you’re a less-seasoned Pokemon Go trainer, the response once you finally get that Raikou to appear is pretty natural: a mild state of panic as you hope to catch it successfully. Well, don’t panic – it’s all pretty simple in truth. Ideally you need to be using a berry and a ball – for the best outcome you’ll want to use a Pinap Berry and an Ultra Ball together, since the Pinap Berry will ensure you have extra candy for powering up your Raikou. A razz berry will actually give you a better chance of catching Raikou, mind – but you won’t get the bonus candy. The choice is yours, but keep in mind that this event Raikou won’t flee – you’ll get more than a few shots at it so long as you have the resources. Remember that Great or Excellent Pokeball throws are more likely to be successful – and if you can combine that with a berry and a curved throw, your success is far more likely. Good luck!